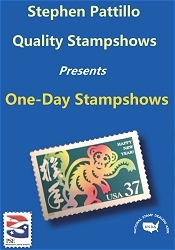 It has been a long time coming, however, it was a necessary extension of 35 years in the business of selling Stamps and Postal History. We recognize that today’s business is much different than when we started.We have a large inventory of U.S. Postal History, specializing in the 19th and early 20th Century covers. Some of our specialties include Illustrated Advertising, Used and Mint Civil War covers , Postal History of all 50 States. Stampless covers and content, as well as covers used to Foreign Destinations. Usages such as Registered and Special Delivery covers. Covers with Auxiliary markings. Covers from the Classic period from 1851 to 1869. Banknote covers, Bureaus, Columbians and trans-Mississippi. 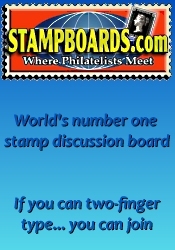 1902 series and many other areas of Postal History. Click on each Topic of your interest to find what you are looking for. If you are having difficulty, give us a quick call and we will be happy to guide you.We have thousands of covers in our inventory and we will be adding to the website on a continuing basis. Please bookmark our site and return to it regularly as you will find many fine additions. For many years I have offered a mail order copy service. I send out copies in areas of interest to my customers and would be happy to enter your information into my database, then send copies of your areas of interest to you prior to it being posted on our website.Dealers: As always, a discount will be given. Email us with the APH #’s and we will send you a separate invoice reflecting this amount due. Call with any questions in regards to this. First Day, Naval & Event Collectors: A reminder for all of you FDC, Naval and Event Collectors. The more you purchase (over $100.00), the more of a discount you will receive. Just email us with all of the APH #’s and we will send you a separate invoice reflecting this amount due.